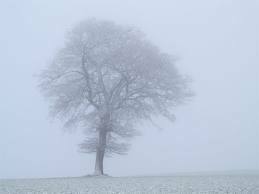 Fog Season - Hi, friend Climate and Weather Information, in this article entitled Fog Season, we have prepared this article well and concise to be easy to understand for you to read and can be taken inside information. hopefully the contents of the post that we write this you can understand and useful. okay, happy reading. You know when the fog season is for the western WA interior? Right now. But the foggiest periods differ at other locations in our region. Check out this figure, which shows the number of days of heavy fog (1/4 mile or less visibility) by month for a variety of locations. For Seattle, October is the foggiest month and the same is true for Olympia. You will notice that Olympia has much more dense fog than Seattle. On the coast the foggiest month is August. East of the Cascades at Spokane and Yakima, December. Some people are surprised by all this...wouldn't the foggiest period be in the middle of the winter..during the rains of November through February? And for many locations the LEAST foggy period is not in the middle of summer, but in spring. But if you think about it, it all makes sense. Most of the fog we get around here, and particularly the dense type, is radiation fog...which is generally produced by relatively cloud-free conditions in the middle and upper troposphere. Such conditions are often associated with high pressure and little rain. Long nights help it along, as does a moist surface. On relatively clear nights the earth can radiate heat to space and temperatures can cool to saturation...which leads to fog. Fall is really good...the nights are getting longer, there is some occasional showers that moisten the surface, but there are still plenty of cloud-free nights to allow good radiational cooling to space. West of the Cascades, October is a sweet spot for all this. On the coast they get some of this fall magic, but they also get some of the low clouds that hang out along and offshore of the coast during the summer. Eastern Washington tends to be relatively warm in the summer and early fall and late spring, with little fog. But during the winter, the "bowl" of eastern Washington fills up with cold air and fog. During the next few days, we will have warm and dry weather, but watch out for fog in the morning, particularly in river valleys. And as it get colder REALLY watch out for fog, since fog is often associated with roadway icing. The biggest weather killer in the Northwest...it is not wind or flood or storms...it is ice on the roadways....but more about that some other time. Thank You and Good article Fog Season this time, hopefully can benefit for you all. see you in other article postings.